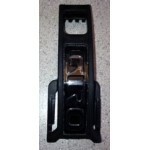 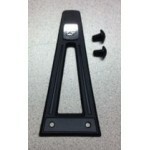 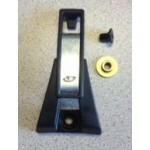 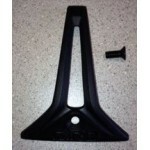 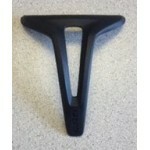 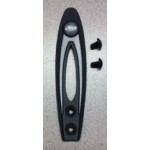 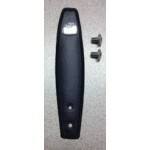 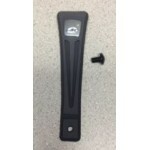 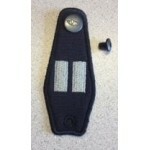 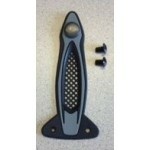 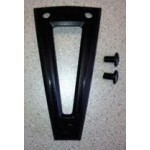 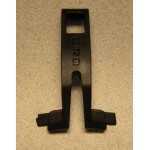 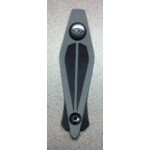 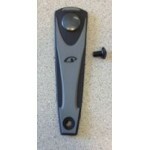 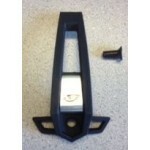 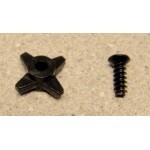 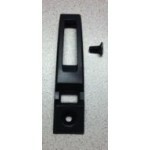 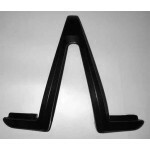 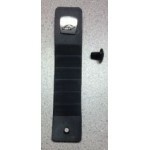 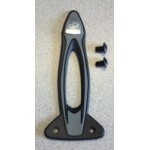 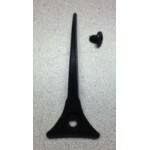 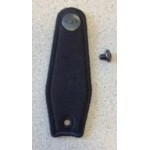 Replace you lost or broken Giro Ski Snow Goggle Retainer Strap with an OEM genuine Giro Replacement Part. 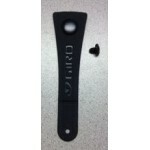 Many of the Giro goggle retainer straps will fit other helmets if the mounting distance from the center of the screw hole to the center of the snap is the same. 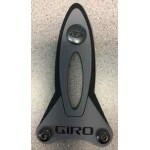 If you find that your Giro helmet is not listed below we might just have one that will work for you. 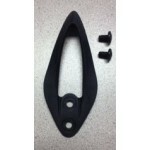 Where applicable we have included the mounting distance information in the details of the individual goggle retainer straps. 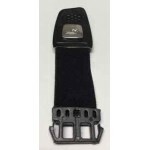 Giro 540 Goggle Retainer Strap: Replace your lost or broken Giro Ski Snow Goggle Retainer St..
Giro Avance MIPS Goggle Retainer: Replace your lost or broken Giro Ski Snow Goggle Retainer. 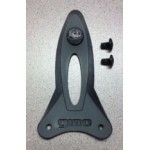 ..
Giro Bad Lieutenant Goggle Retainer Strap: Replace your lost or broken Giro Ski Snow Goggle ..
Giro Battle Goggle Retainer Strap: Replace your lost or broken Giro Ski Snow Goggle Retainer..
Giro Bevel Goggle Retainer Strap: Replace your lost or broken Giro Ski Snow Goggle Retainer ..
Giro Chapter 2 Goggle Retainer Strap: Replace your lost or broken Giro Ski Snow Goggle Retainer S..
Giro Chapter Goggle Retainer Strap: Replace your lost or broken Giro Ski Snow Goggle Retaine..
Giro Combyn Goggle Retainer Strap: Replace your lost or broken Giro Ski Snow Goggle Retainer..
Giro Crue Goggle Retainer Strap: Replace your lost or broken Giro Ski Snow Goggle Retainer S..
Giro Decade Goggle Retainer Strap: Replace your lost or broken Giro Ski Snow Goggle Retainer..
Giro Discord Goggle Retainer Strap: Replace your lost or broken Giro Ski Snow Goggle Retaine..
Giro Ember Goggle Retainer Strap: Replace your lost or broken Giro Ski Snow Goggle Retainer ..
Giro Encore 2 Goggle Retainer Strap: Replace your lost or broken Giro Ski Snow Goggle Retainer St..
Giro Encore Goggle Retainer Strap: Replace your lost or broken Giro Ski Snow Goggle Retainer..
Giro Era Goggle Retainer Strap: Replace your lost or broken Giro Ski Snow Goggle Retainer St..
Giro Fuse Goggle Retainer Strap : Replace your lost or broken Giro Ski Snow Goggle Retainer Strap..
Giro G10 Goggle Retainer Strap: Replace your lost or broken Giro Ski Snow Goggle Retainer St..
Giro G10MX Goggle Retainer Strap: Replace your lost or broken Giro Ski Snow Goggle Retainer Strap..
Giro G9 Early Goggle Retainer Strap: Replace your lost or broken Giro Ski Snow Goggle Retain..
Giro G9 Goggle Retainer Strap: Replace your lost or broken Giro Ski Snow Goggle Retainer Str..
Giro G9 Junior Goggle Retainer Strap: Replace your lost or broken Giro Ski Snow Goggle Retainer S..
Giro Grove Goggle Retainer Strap: Replace your lost or broken Giro Ski Snow Goggle Retainer ..
Giro Launch Goggle Retainer Strap: Replace your lost or broken Giro Ski Snow Goggle Retainer..
Giro Ledge Goggle Retainer Strap: Replace your lost or broken Giro Ski Snow Goggle Retainer ..
Giro Nine Goggle Retainer Strap: Replace your lost or broken Giro Ski Snow Goggle Retainer S..
Giro Nine Jr Goggle Retainer Strap: Replace your lost or broken Giro Ski Snow Goggle Retaine..
Giro Nine.10 Goggle Retainer Strap: Replace your lost or broken Giro Ski Snow Goggle Retaine..
Giro Nine.10 Jr Goggle Retainer Strap: Replace your lost or broken Giro Ski Snow Goggle Reta..
Giro Nine.9 Goggle Retainer Strap: Replace your lost or broken Giro Ski Snow Goggle Retainer..
Giro Nine.9 Junior Goggle Retainer Strap: Replace your lost or broken Giro Ski Snow Goggle Retain..
Giro Omen Goggle Retainer Strap: Replace your lost or broken Giro Ski Snow Goggle Retainer S..
Giro Prima Goggle Retainer Strap: Replace your lost or broken Giro Ski Snow Goggle Retainer ..
Giro Recruit 2 Goggle Retainer Strap: Replace your lost or broken Giro Ski Snow Goggle Retainer S..
Giro Recruit Goggle Retainer Strap: Replace your lost or broken Giro Ski Snow Goggle Retaine..
Giro Remedy Goggle Retainer Strap: Replace your lost or broken Giro Ski Snow Goggle Retainer..
Giro Remedy S Goggle Retainer Strap: Replace your lost or broken Giro Ski Snow Goggle Retain..
Giro Revolver Goggle Retainer Strap: Replace your lost or broken Giro Ski Snow Goggle Retainer St..
Giro Rove Goggle Retainer Strap: Replace your lost or broken Giro Ski Snow Goggle Retainer S..
Giro S4 Goggle Retainer Strap: Replace your lost or broken Giro Ski Snow Goggle Retainer Str..
Giro S5 Goggle Retainer Strap: Replace your lost or broken Giro Ski Snow Goggle Retainer Str..
Giro S5 Junior Goggle Retainer Strap: Replace your lost or broken Giro Ski Snow Goggle Retai..
Giro Seam Goggle Retainer Strap: Replace your lost or broken Giro Ski Snow Goggle Retainer S..
Giro Sestriere Goggle Retainer Strap: Replace your lost or broken Giro Ski Snow Goggle Retai..
Giro Sheer Goggle Retainer Strap Replacement: Replace your lost or broken Giro Ski Snow Gogg..
Giro Shiv 2 Goggle Retainer Strap: Replace your lost or broken Giro Ski Snow Goggle Retainer Stra..
Giro Shiv Goggle Retainer Strap: Replace your lost or broken Giro Ski Snow Goggle Retainer S..
Giro Slingshot Goggle Retainer Strap: Replace your lost or broken Giro Ski Snow Goggle Retai..
Giro Sonic Goggle Retainer Strap: Replace your lost or broken Giro Ski Snow Goggle Retainer ..
Giro SST Goggle Retainer Strap: Replace your lost or broken Giro Ski Snow Goggle Retainer St..
Giro Streif Goggle Retainer Strap: Replace your lost or broken Giro Ski Snow Goggle Retainer..
Giro Surface S Goggle Retainer Strap: Replace your lost or broken Giro Ski Snow Goggle Retai..
Giro Tag Goggle Retainer Strap: Replace your lost or broken Giro Ski Snow Goggle Retainer St..
Giro Talon Goggle Retainer Strap: Replace your lost or broken Giro Ski Snow Goggle Retainer ..
Giro Tilt Goggle Retainer Strap: Replace your lost or broken Giro Ski Snow Goggle Retainer S..
Giro Trig MIPS Goggle Retainer Strap: Replace your lost or broken Giro Ski Snow Goggle Retainer S..
Giro Vault Goggle Retainer Strap: Replace your lost or broken Giro Ski Snow Goggle Retainer ..
Giro Zone MIPS Goggle Retainer Hook: Replace your lost or broken Giro Snow Ski Goggle R..